Shady tree-lined streets, large, lovely homes and a sense of community pride all contribute to the uniqueness and desirability of this venerable neighborhood. The Woodlawn neighborhood is located on the north side of St. Petersburg and is comprised of well-kept homes from the 1920s as well as ones built in the 1940s and 50s. The majority of Woodlawn’s 625 homes are private residences with a limited number of rentals interspersed throughout the area. Architectural styles include traditional Bungalow, Colonial Revival, Tudor Revival, and Frame or Masonry Vernacular. Most homes are one-story, generally containing 2-3 bedrooms, although many two-story houses, with 3-4 bedrooms are scattered throughout the area. Mixed in with the older homes are houses typical of 1940s and 1950s post-World War II construction. These include concrete block and wood frame ranch style homes. Average estimated value of a single family house in the Woodlawn neighborhood in 2015 was $254,199. The community boasts an active neighborhood association, two churches and a crime watch organization. 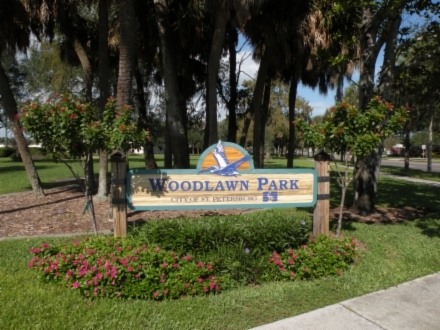 Woodlawn Park features a lighted football/soccer field, 5 lighted softball fields with covered bleachers, 4 lighted tennis courts, a lighted racquetball/handball court and playground. If you are interested in SELLING or BUYING a home in the Woodlawn Neighborhood, please give The Mesimer Team a call at 727-686-2859. 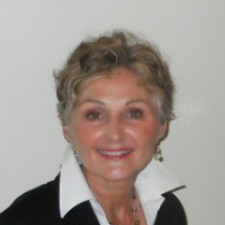 We are available 24/7 to help with all your real estate needs.